Imagine what it would be like if you could easily add your name, signature or logo to your personal creations. Custom Rotary engraved jewelry tags add a special touch to brand your work and add contact information for future sales (even after the packaging has been discarded). 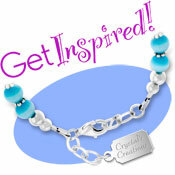 Your customers then do more selling for you by wearing the tag on their bracelet, necklace, purse, cellphone and more! YOU CAN GET TAGS AS LOW AS .66¢ WITH QUANTITIES!! Charm Factory’s jewelry tags are custom engraved, not stamped, so the process is quick and easy. You probably already know that stamping your own tags can be an arduous process with expensive set up fees, long wait times for a quote and a die, and then you have to do all the hammering yourself on an anvil. Our rotary engraving machine has a very precise diamond tip, so detail is much finer than a stamp or a laser engraver, where fine details are lost. With engraved metal jewelry tags, you bypass all of the hassles and set up costs of stamping or lasering, receive a product with much finer detail, and we do all the work for you within a few days! Your name, business name, email address, website, signature, logo or almost any other image is reproduced just for you – just like you’ve pictured it. The work is all done here in our factory in Albuquerque, New Mexico. Are you beginning to see how easy it could be with custom engraved tags? Order quickly online using the inclusive pricing displayed for a minimum of 50 tags. There are no quotes, set up fees or additional costs for engraving text. Just add your font selection, detailed text instructions or upload your image directly from the tag you wish to order. There is an additional onetime $40.00 set up fee for logos and other images. We will be happy to answer any questions and help you make your mark. • Upload any logos, your signature or other images, directly from your selected tag page. A vector based file created in Adobe Illustrator, Freehand or Corel Draw is ideal, and your logo will be processed faster and look cleaner with these file formats. An ai, eps or plt file is preferred. File types like pdf, tif, jpg, gif or psd will also work. A Word document is not acceptable. • Only lines are engraved on the tags. Shapes are not filled in. • The minimum order is 50 tags. See more information below on ordering a sample first if you like. • If you would like engraving on both sides of your tags (a name and a logo, for example), then this can be done for an additional $0.60 per tag. Add this fee to your cart when you add the tags. • Our rotary engraving machine has a very precise diamond tip that removes material as it engraves. Text remains clear as it becomes smaller, so the number of letters that fit depend on the size of the tag and the font that you choose. • To make rotary engraving more prominent, some people use black jewelry paint on their tags when they receive them. One such product is called Black Antique Background (which may be purchased from a jewelry supply company like Thunderbird Jewelry Supply). •If you are looking for engraving that is blackened and provides more detail please view our Laser Engraved Jewelry Tags.